This one is also beautiful. Very nice. 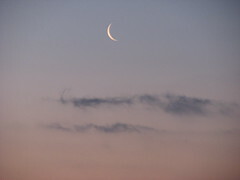 The crescent moon is not seen very much, it is a nice change from the full moon.